March 27 - Book Talk at the Parma Branch of Cuyahoga County Library, 7 pm, 6996 Powers Blvd, Parma OH. May 18 - I have received an invite from the Polish Government to attend the 75th anniversary of the battle of Monte Cassino in Italy. I will update my travel blog with visits to Rome, Monte Cassino, Ancona, Bologna, and Lake Como. Feb 4, 2018 - Book Talk at North Ridgeville Public LIbrary. Apr 11 & 19, 2018 - Book Talks at Tri-C Metro and Westshore campuses. Nov 2018 - Book Talk at Tri-C Western campus. 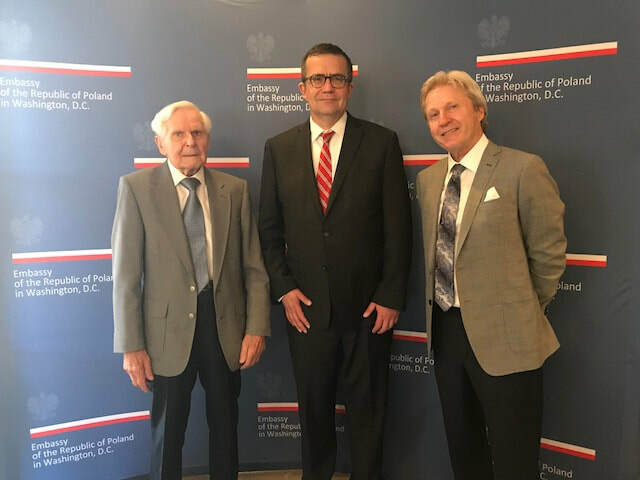 Sep 19 - 30, 2018 - Trail of Hope Exhibit and reception presented at the Polish American Cultural Center with Polish Secretary of State, Minister Anna Maria Anders. Nov 11, 2018 - MC of concert celebrating Poland's 100 years of independence at the Cleveland State University Auditorium. Nov 13, 2018 - Invited to attend gala in Washington DC celebrating Poland's 100 years of independence. ​Bajda is currently looking to work with two Polish Universities to create a translation of Captured in Liberation in Polish.